A press release landed in my inbox this afternoon, and while it was not casting news, any news is good news for the fans of Outlander. 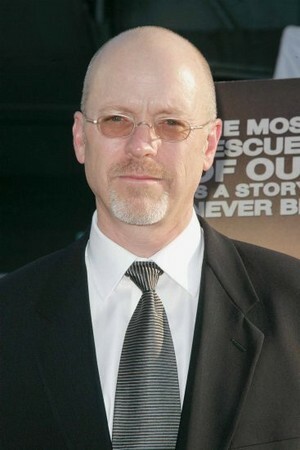 John Dahl will direct the first two episodes of Outlander. John Dahl is an acclaimed director of many episodes of cable and network TV shows. Among the shows he has directed for are Dexter, Justified, Ray Donovan, The Americans, Hannibal (Sarah LOVES this show), Person of Interest, The Vampire Diaries, Californication, True Blood, Breaking Bad, and The United States of Tara. He has also directed some films. There are many more show to his credit, so please check out his IMDB page. He does not seem to have any period TV or film work to his credit other than a WWII film. However, I think the first two episodes are in great hands. This press release also points out the producer/writer Ronald D. Moore wrote both the first and second episodes. I believe we only knew that he wrote the first episode. Beverly Hills, Calif., August 20, 2013 – Starz in association with Sony Pictures Television has announced today that director John Dahl (“Dexter,” “Breaking Bad,” “Justified”) has signed on to direct the first two episodes of the highly anticipated original series “Outlander.” The series will be adapted from Diana Gabaldon’s international best-selling books, with the first two episodes written by executive producer, Ronald D. Moore (“Battlestar Galactica,” “Star Trek: Deep Space Nine,” “Star Trek: The Next Generation”). “Outlander” is set to premiere on STARZ in 2014. Dahl has most recently directed episodes of Showtime’s “Dexter,” “Homeland” and “Ray Donovan,” as well as FX’s “Justified,” HBO’s “True Blood,” and AMC’s “Breaking Bad.” He has previously worked with Ronald D. Moore on “Battlestar Galactica” and “Caprica.” His feature film credits include Rounders, You Kill Me andThe Last Seduction. He also wrote and directed Red Rocks West. This entry was posted in Directors, John Dahl, Production News, Ronald D. Moore and tagged Director, John Dahl, Ronald D. Moore by Sarah Ksiazek. Bookmark the permalink.